Super quick throttle response on 200cc piston ported machines using stock cylinder or Rapido cylinder kit. Kit comes with everything you need, including Uni foam filter, intake manifold and hardware, cable, and spare jets. 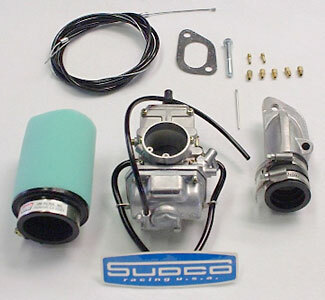 To attach your stock choke cable, also order choke conversion kit #492.A.